2nd Great Grandmother Julia Grossman, 1923 and Andrea, 2014. I found this on Olive Tree Genealogy and it sounded like fun. Enter Gould Genealogy's Genealogy Selfie Contest for a chance to win a Conversion Pack (Video Converter and PhotoMaker X4 slide/negative scanner) from Kaiser Baas. 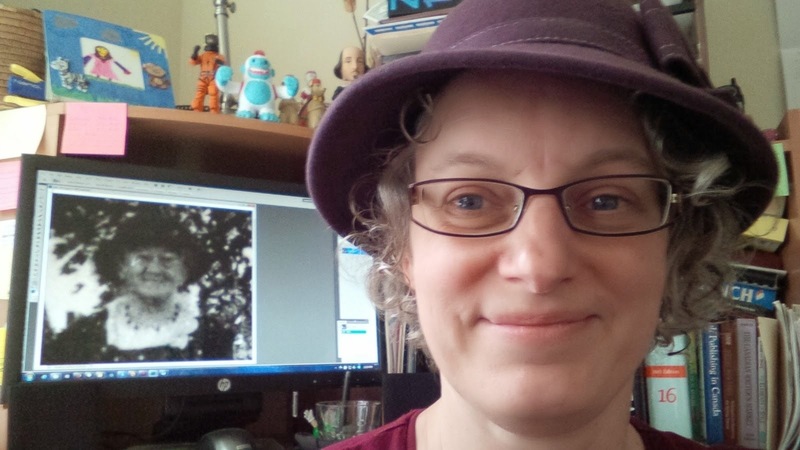 Do you have a selfie of yourself doing something genealogy related? Maybe with your family history group or sorting through family pictures? Grab your phone, take a selfie. Post it on Gould Genealogy's Twitter Account, Facebook Page or Google + page. Details are at Genealogy Selfie Contest.